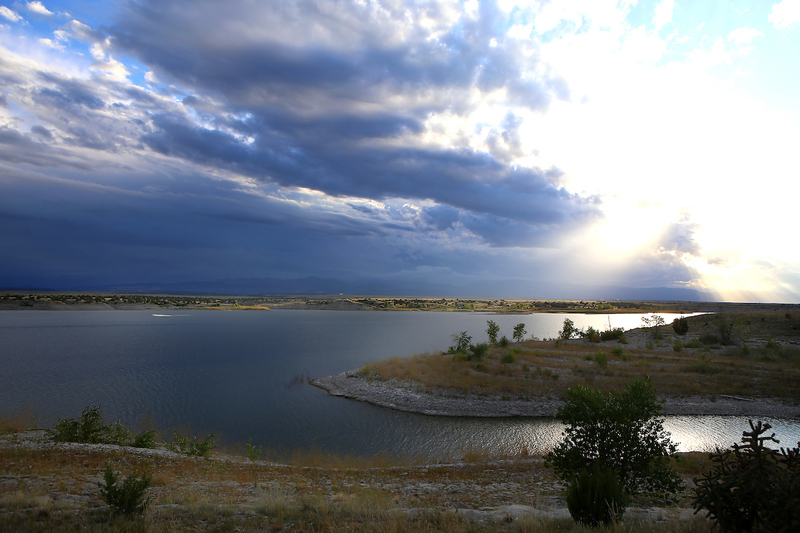 Emergency responders from Pueblo-area agencies are searching Lake Pueblo Sunday for a man who went missing while fishing from the north shore in the State Wildlife Area. Witnesses called 9-1-1 early Sunday morning after seeing a 65-year-old Pueblo West man enter the water to retrieve his fishing rod. The emergency call was made when the man didn't return to shore. Colorado Parks and Wildlife officers launched a search using low-powered sonar, and called in the Pueblo County Sheriff's Department dive team to assist in the search for the man, who has not been identified. In addition, AMR responded along with an air ambulance, which conducted an unsuccessful aerial search. As the search continues, officials are bringing in more equipment and staff to find the missing man, including calling in a high-powered sonar unit from Denver. The area of the search is about three miles west of the Northshore Marina, outside Lake Pueblo State Park near a closed boat ramp popular with shore anglers. The public is asked to avoid the area immediately west of the wildlife boat ramp while search and rescue operations continue.